Lotus Mafia 18650 Mechanical Mod. 2ct. .. Aspire CF MOD Battery. Black. 1ct. 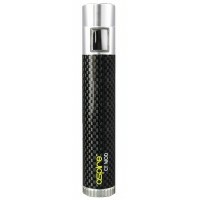 Aspire cf MOD battery supply intense power for low resistan..
Black Stingray Style 26650 Mechanical Mod. 1ct. BUY 1 GET 1 FREE!! 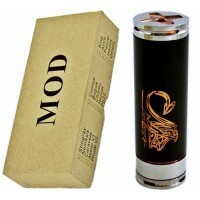 Recessed 510 threaded con..
Hades Style Mechanical Mod. 1ct. BUY 1 GET 1 FREE!! 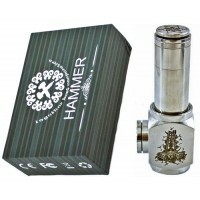 ..
Hades Style Mechanical Mod With Magnet Bottom Firing Button. 1ct. BUY 1 GET 1 FREE! 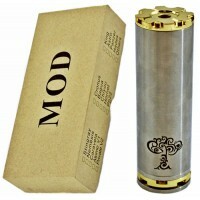 Details: ..
Tree of Life Style Mechanical Mod. 1ct. BUY 1 GET 1 FREE! Details: 510 threading connecto..
Chiyou Style Mechanical Mod. 1ct. 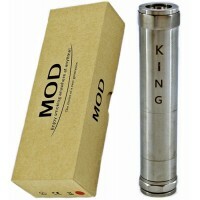 ..
King Style Mechanical Mod. 1ct. ..
KK Style Telescoping Mechanical Mod. Color May Vary. 1ct. Clearomizer features: Removable d..
Master Vape U Pipe Mechanical Mod E-Liquid Vaporizer. 1ct. Includes: 1 Main Body 1 18350 .. Nemesis Mod With Protank 2 Complete Gift Set. 1ct. 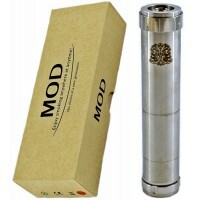 Includes: Nemesis Mod 110 Volts Charge..